Repute System has always used Oracle technologies as a powerful tool for implementing enterprise solutions. 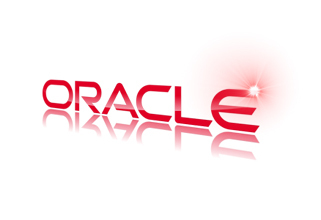 However, if previously we used Oracle only on projects for our large clients, in the ranks of Mail.ru – the largest e-mail provider in Eastern Europe with more than 50 mln users - today Repute System makes Oracle solutions available for Small and Medium sized Businesses (SMBs) as the use of this technology is often crucial for clients' organic growth. Apart from the standard Oracle Developers Suite products, Repute System utilizes Microsoft .NET, Java, C++ and third party reporting tools for developing client-side applications. We've made good use of Oracle Application Server for the creation of three-tier architecture applications and of Oracle Discoverer for the development of analytical systems. Repute System is an expert in migrating data to Oracle databases and porting various applications to the Oracle platform. Repute System has carried out monumental projects using such formal methodologies as Oracle CDM and RUP. However, since these solutions are often time and money consuming, Repute System offers a more flexible, lighter models which allow for faster and more affordable development process - maintaining the quality of the product and providing for the flexibility of the system's evolution and growth.